I detach from my feelings and observe rather than participate. I hoard time, space, energy, and knowledge to myself. I have a strong need for privacy and limit intrusions from a world that wants too much from me. One of the ways in which the Enneagram taxonomy differs from the Myers-Briggs is its assertion that every personality type has a definable core essence. As might be discerned from the above list of Five characteristics, the Five’s essential life strategy is one of survival through knowledge and self-sufficiency. Of all the Enneagram types, the Five is most concerned with seeing the world as it actually is, regardless of how ugly or unsettling. Nothing is taboo or off limits for Fives; any form of censorship is anathema to them. Seeing objective truth as the path to salvation, anyone or anything attempting to obfuscate the truth may be treated as an object of derision by the Five. While extraverted types such as the Three or the Eight may wield more overt power or influence, the Five feels his insight into “hidden realities” or his acquisition of esoteric knowledge will ultimately comprise his saving grace. As highlighted by Riso and Hudson, the Five is prone to “conceptualize everything before acting.” Like Fours, many Fives feel incapable of action until they have gathered enough information and clarified their understanding of things; in Jungian parlance, they strive to rectify their N concerns before translating them into S action or substance. For instance, an INTJ 5 friend of mine once spent over a year formulating and honing his business plan before he was willing to start implementing it. The intuitive introvert’s propensity to ideate rather than act is underscored in my post, Why INFPs, INTPs, INFJs, & INTJs Struggle to Act. Fives become more determined to continue their projects and want to avoid any involvements or dependencies that might hinder them. They begin to “cut back” on creature comforts, activities, and relationships. Anything that might compromise their independence and their freedom to continue with their interests becomes expendable. INTPs can easily get swept up in their T pursuits and completely lose contact with their feelings toward their partner. They may then begin to wonder if they really love (or loved) their partner, even questioning whether they want the relationship at all. With that said, living without a relationship can also be difficult for some Fives. This is especially true for INTPs who due to the inferior nature of their feeling function (Fe) may worry that they will become too imbalanced, isolated, or depressed without a reliable F presence in their life. The INTP will therefore do what is necessary to keep his partnership (and inferior Fe) afloat, while simultaneously working to secure as much time to himself as possible. As discussed in my post, Myers-Briggs / MBTI-Enneagram Correlations, INTP and INTJ are the most common MBTI types among Enneagram Fives. 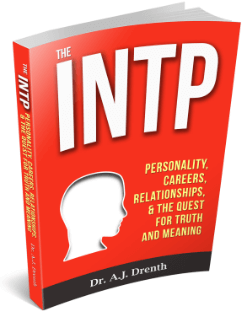 Since so many Five traits are attributable to introversion (I), thinking (T), and to some extent, intuition (N), it is hard to imagine an INTP or INTJ not identifying with many of the Five’s propensities. In many respects, the Enneagram 5 is well viewed as a sort of INTJ-INTP hybrid. That being said, the Five’s “wings” (i.e., 4 or 6) do a fair job of differentiating the INTP 5 and the INTJ 5. Generally speaking, INTJs are more apt to have a 6 wing (i.e., 5w6) and INTPs a 4 wing (i.e., 5w4). The 5w4 is the more subjective Five subtype. Like the Enneagram type 4, 5w4s are driven to understand their own personality, routinely exploring their identity and life’s purpose. They are also more idiosyncratic and individualistic in their investigative methods, in many ways operating more like artists than scientists. Their explorations are informed, and to some extent driven, by their need for personal meaning and authenticity. 5w6s, by contrast, are more objective and systematic in their work, content to leave the self and its preferences out of their equations. Since INTJs use Extraverted Thinking (Te)—the most impersonal and objective of all the functions—they are more apt to identify with the approach and methods of the 5w6 than INTPs are. Sixes are known in part for their loyalty to certain conventions or authorities. For INTJs, this is evidenced in their devotion to the methods and findings of science. By contrast, the freewheeling INTP 5w4 is more likely to function as a critic of science or to play the role of devil’s advocate. As discussed in my book, The INTP Quest, INTPs will commonly use epistemological arguments to cast doubt on the scientist’s foundational assumptions. Of course, there are always exceptions to these trends. Jean-Paul Sartre and Stephen King are famous examples of 5w4 INTJs, and it doesn’t seem unreasonable to classify Bill Gates (INTP) as a 5w6. With King, as well as Sartre’s fictional works, we see a veritable absence of Te in favor of heavy reliance on Ni imagination. In The 16 Personality Types I refer to this subtype of INTJ as the “Creative / Aesthete.” INTJs with a more pronounced Te will typically gravitate toward more objective investigations, that is, toward the 5w6 pole, rather than purely creative or aesthetic work. As introverted intuitive types, the INFJ and INFP are also apt to identify with certain elements of the Enneagram 5. In concert with the Five, many INFJs and INFPs have original and unconventional minds. They use their introversion and intuition to look beyond or beneath appearances in order to uncover deeper truths or insights. The INF singer-songwriter Tori Amos aptly exemplifies the penetrating, taboo-challenging spirit of the Five. INFJ philosophers such as Schopenhauer and Nietzsche were also likely Fives. John Lennon (INFP), according to Riso, was a 5w4, although he may have been a 4w5. Regardless of whether these famous INFs were Fours or Fives, it is clear that INFJs and INFPs alike may display marked Five tendencies. INFP bohemians, for instance, are apt to identify with the Five’s penchant for minimalism, willing to live as wanderers or starving artists until they “find themselves.” Such INFPs can also be self-consumed and highly protective of their alone time in a Five-like fashion. Like their INTJ counterparts, the Ni-dominant INFJ is well deserving of the Observer moniker. 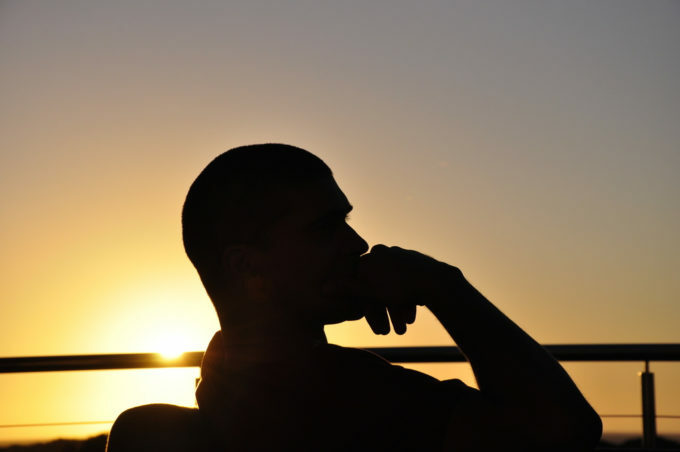 Instead of leading with an agenda, as types with a dominant judging function (i.e., EJs and IPs) are inclined to do, the perception-oriented INFJ is often content to sit back and take in the world. The Star Wars character Yoda is a helpful, even if hyperbolized, example of an INJ. Exhibiting no superfluousness in movement or action, he spends most of his time in relaxed perception, intermittently dispensing insight when called upon by others. With that said, INFJs are the least likely of the four IN types to function as minimalists, be it emotionally or materially. As I’ve discussed elsewhere, INFJs prefer to outwardly express and talk through their emotional concerns with others (Fe) rather than handling them independently (Fi). Moreover, many INFJs (as well as some INTJs) have high Se taste, making a minimalist lifestyle a tough pill for them to swallow. In the end, it is largely T-F differences that distinguish Fours and Fives. Because thinking types are more emotionally detached, they are more likely to self-identify as Fives, with the inverse being true of Fours. But as we’ve seen, there are a number of similarities and points of overlap between the INT and INF types. Among other things, all INs (at least those who are Fours or Fives) are inclined to disidentify with their surrounding culture, especially when it is marked by an Extraverted Sensing mindset (as seen, e.g., in the U.S.). Moreover, because of their unconventional or idiosyncratic perspectives, many INs report feeling like misfits or outsiders. This sense of being characteristically “different” from the masses fuels their quest for identity and self-understanding. INs who type as other Enneagram types (e.g., Nines) may seem or feel a bit more “normal,” as well as less inclined to scrutinize or rail against the status quo. Nines, for instance, are depicted by Riso as shying away from uncomfortable ideas so as to preserve their sense of inner peace. Fours and Fives, by contrast, are concerned with maintaining a certain level of inner intensity; Fours seek intensity of feeling (especially INFP Fours) and Fives intensity of thought (especially INTP Fives). While Nines are in many respects content to float through life, Fours and Fives are more demanding. Not only do they need to be mentally or emotionally engaged, but to feel as though they are moving toward something, advancing in their understanding of the world or their life’s purpose. I’m a 5w4. While I agree about minimalism in the service of time; it is also about attention or thinking. Great point Evan. Having a clear and uncluttered mind is definitely another benefit of minimalism. Your point about clothing is also consistent with my observations of INTJs and INTPs. Most don’t want to spend any more time than they have to making decisions about SF matters. Great article AJ. I’m a 5w4, INTP and I wanted to add to the previous comments on the idea of minimalism. I find that as it relates to time, energy, thought, and emotional expression that ‘minimal’ is a perfect description. However, I’ve been told that I have a certain flair for dressing. I feel I take a systematic (as the gentleman mentioned above) but also artistic approach as it relates to clothing and outward appearance. In a way, I find that it’s a way to speak or be expressive without actually speaking. I find this internal dichotomy between an understated, reserved demeanor and my outward appearance to be interesting as I don’t see it reflected often in type descriptions. It took me a long time to figure out that I am an INFJ. It seemed so difficult to decide between T and F. Your tests helped, and are finally, the only thing that did. I also have had a very hard time deciding between 4 and 5. I am still confused about it. There are many different kinds of 4 and 5 if you look at the subtypes. Also, from book to book there are many different descriptions. In Jaxon-Bear’s book, he says the social four is a kind of minimalist who can wear second-hand clothing. The sexual five, in many descriptions, is a lot more like a four, as almost every writer says. The two, in essence, blend together, and there isn’t much differentiation, or any clear and key facet of a person that would clearly put you into one camp or the other. Some fours do a lot of thinking and enjoy being analytical, according to Jaxon-Bear. Underneath that, they are somewhat lost. In my dreams, I am always lost – somewhat like Kafka – trying to find a landmark of some kind. I wanted to ask you if you are more like yourself in your dreams? Or are you less like yourself? I never know what I am doing or where I live, or even if my house is my house in my dreams – it seems like my house – but then people I don’t even know are living in it. The part where you said that INs are very alienated by Se culture is quite true. I can’t even believe people fly to Hawaii to sleep on a beach and drink rum from coconuts. I always think – why would they do this when we have all the good museums right here in New York? At any rate, I enjoy your research! I’m an INFJ and I have dreams all the time in which I feel lost or I know where I am but don’t recognize the people. I also have tactile and olfactory ability. I can literally smell and feel. I tested as a 4 but I can definitely relate to some of the above mentioned subject matter. I have become more of an observer in my 40s, much like I was as a teen. I engaged a lot with people as a counselor for ten years then stopped to pursue more creative endeavours and to acquire this knowledge about society.tI am much more content but do struggle at times with the minimalist life. I like it but hate worrying over money. A catch 22. I have a lot of insights to share but have had too many combative run ins with society that I am now content to sit back and watch it go down the toilet. I guess my INTJ brother’s bluntness had rubbed off on me. I care but not at the expense of ruining my own inner peace unless a true human I find. Regarding the propensity to ideate rather than act – while I agree with the need to feel I’ve gathered and analyzed sufficient data before I act, I think the sentence might be somewhat misleading. As an INTJ, I am personally compelled to utilize all knowledge I’ve gathered. Whether the information is theoretical or practical, once it’s deemed useful or relative, I ‘utilize’ it by incorporating it into my world view and I make decisions or practical adjustments when applicable. A good personal example is art related. I retired early and decided to take up art. Having never before made art, I performed significant research for over 6 months before ever attempting any art whatsoever. My friends teased me about doing research instead of practicing art. However, 6 months afterwards I was selling art in galleries. My friends think I was a ‘closet artist’, when in truth, I diligently studied technique, composition, shading, etc. and then applied what I’d learned. Your example of a business plan taking one year to perfect sounds fiscally responsible to me. As in my art example, we may use a larger percentage of time in the planning phase but we save a lot of time by being better informed or prepared for the implementation phase. Fascinating website! I always gain a new bit of perspective when I read your articles and books. Kirby Olson’s point above about Sexual (Sx) 5’s resembling Enneagram 4s is spot on. I wonder if the subtype (Sx) is what dictates the wing. I have a few 4w5 friends, all INFPs who don’t know each other but enjoy similar types of dress, demeanour and creative interests. However, this may be a selection bias. As an INTP 5w4 Sx, I straddle the divide between the UR and UL quadrants of the Integral AQAL Model. With a heavier lean in UR, my gaze dives deep into the UL. It seems as though our dominant cognitive functions dictate our penchant for a particular form of human inquiry and research as outlined in Ken Wilber’s Integral Methodological Pluralism (IMP) or “ways of knowing’ as Wilber says. AJ also mentioned how someone’s Holland Code correlates with certain quadrants, functions and enneagram points. It would be difficult not to see the overlap of Jungian Theory, Enneagram, and John Holland codes (among other works). Does anyone know if someone has attempted to combine them into one model? As always, great article AJ. 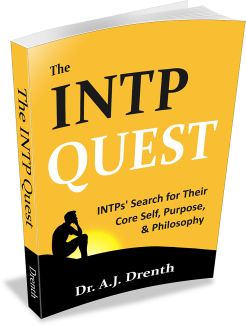 I’m making my way through the INTP Quest and am enjoying it. I’m INTP and I can’t quite decide whether I’m the Bohemian (4w5) or the Iconoclast (5w4). Sadly I don’t get to indulge my predilection for minimalism these days due to having two young children. As a quick aside, it should go without saying that one can be both a minimalist and an aesthete. I much prefer a clean, clinical environment; I find that cluttered areas detract quite heavily from my mental energy – energy invariably reserved for my job which requires a fair amount of focused attention. I therefore try to ensure that my environment is configured in a way which requires absolute minimum interaction and (if feasible) is navigable with as little conscious effort as possible. The more I can politely ignore the outside world (inescapable / entirely uninvited nuisance that it is), the more mental resources I have for other, far more important things. I still like tasteful and expensive stuff, though ;) quality – not quantity! As an ENTP who types as an Enneagram 5w4 I wish you would have included an assessment of them too. Your type analyses tend to be very INxx focused. I think you forget than ENTPs and INTPs are very very similar and thus as someone who used to type as both much of what is presented on the latter is useful for the former too. ENTPs are often introverts in real life even if their intuition is externally oriented. 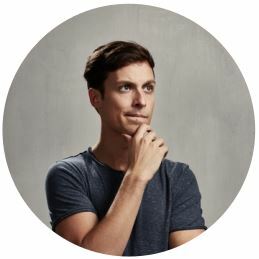 This site which is genuinely amazing would be much better if you realised that ENTPs relate far more to INTPs, INTJs, INFPs and INFJs than they do any other types. Their commonly dismissed as jocular and superficial compared to their philosophical analytical NT counterparts. That is a real shame. Why is the ISTP not mentioned with regards to Enneangram 5? Their Se, in my opinion deals more with physical sensations than a thirst for a luxurious life, and their Ni also makes them procrascinate and see the big picture a lot. I just find it unfair to see ISTPs stereotyped as unintellectual thrill seekers.